Majorda is a beach where one may even hear a pin drop. Except for the sea waves, none else is heard in Majorda. Obviously, the favourite pastime of tourists are sunbathing and reading on the beach. Rising palm trees complements the serene ambience. 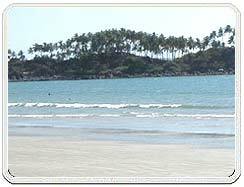 There are a few beaches adjacent to Majorda exhibiting the same characteristics. Arossim and Utorda are to Majorda's north while Colva falls on the coastline before reaching Majorda.Couples holding hands and strolling long distances by the edge of water is a common sight. Majorda boasts of producing Goa's best bakery products. A trip to Majorda remains incomplete without tasting the delicious Majordan bread. An interesting piece of history is also associated with Majorda. According to the Goan version of epic Ramayana, Lord Rama was kidnapped as a child and brought up in Majorda. Foreign tourists may be seen hearing the Indian mythical delights in rapt attention. Anything big makes a strong impact is the common perception. Majorda nullifies the contention. Small but breathtakingly beautiful with lots to offer, Majorda is sure to make a lifelong impact. 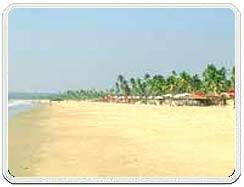 Majorda is 18 kms away from Dabolim Airport. A number of buses, four wheeler and two wheeler taxis operate between Majorda and Margoa. Rail network to the place has not yet been developed. As Majorda mainly caters to foreign tourists, the beach resorts may be a bit on the expensive side going by Indian standards. 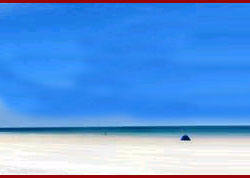 Popular beach resort is Majorda resort. Cheaper accommodation in the form of guest houses are also available. Local people also offer rooms in their private houses and couple that up with good hospitality.